5.11 Tactical LMC Hawkbill 4 1/4″ closed linerlock. 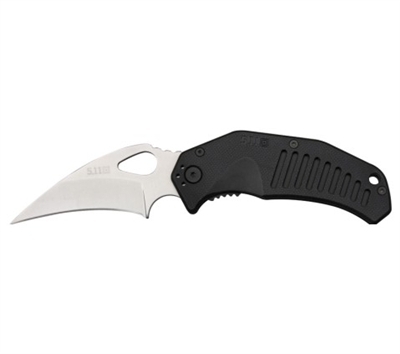 3 1/4″ hollow ground satin finish AUS-8 stainless hawkbill blade with thumb slot. Textured black FRN handles with removable/reversible black finish stainless pocket clip.